Thank you to OUR Skin Cares for kindly sponsoring this post. All opinions are 100% honest & completely my own. Oh how I remember my youth. The days of staying up all night and still having the energy to go out the next day. The days of not having a care in the world. Oh how I love reminiscing about those days. If only I knew then what I knew now, I would have done things a lot differently. One thing in particular I would have done differently would be to take care of my skin. When you're young and you have your youth, you don't think much about skincare, because your skin is firm and supple and it looks great. Unless you're breaking out with acne, you don't bother thinking about moisturizer and toners etc. It wasn't until I turned 40 and looked into the mirror I started regretting that I didn't take better care of my skin. However, it's never too late to start. I'm however not a product junkie. I personally prefer to use one-step products. Products that do all the work for me, and that's why I'm here to introduce to you OUR Skin Cares and their Advanced Anti-Aging Serum. Now I'm not great when it comes to keeping up with a skincare regimen so having everything I need in just one bottle is amazing. I also love that it comes in a small, easy to take along with you sized bottle. As you know, I just love to travel so this makes it easy for me to take with me. No more tons of products in my bag, so now I have more room for souvenirs. You can totally wear this a stand alone product or wear it under your makeup if you would like to. OUR Skin cares is perfect for all skin types. I have combination skin and I'm always worried about products leaving my skin oily and shiny, so I would walk around with blotting sheets at all times. So far I've had excellent results with this. I just pump a few pumps and apply it to my face and and I can see minor differences already after only using it for a short time. The OUR Skin Cares Advanced Anti-Aging Serum is meant to reduce your fine lines and wrinkles which is my main concern, increase the hydration in your skin and help you look younger longer. I like to think of it as my Botox in a bottle. 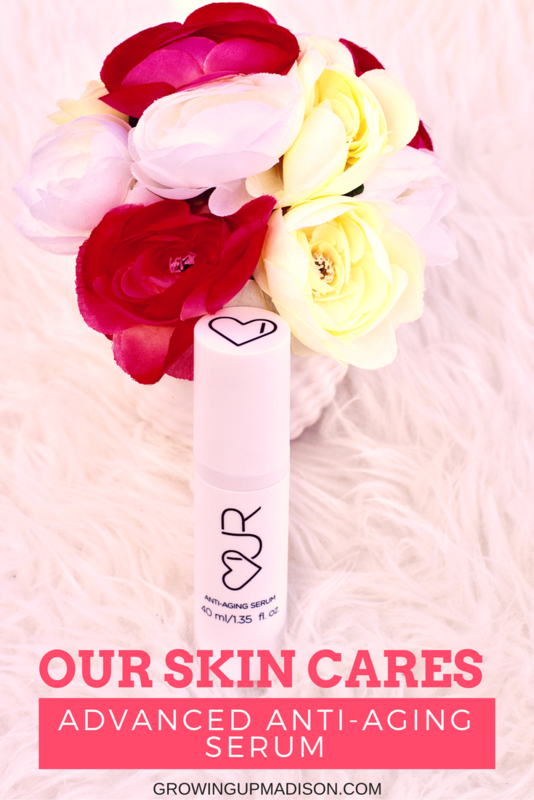 While there are a few reasons I love the OUR Skin Cares Advanced Anti-Aging Serum, one of those reason is that it is made right here in the USA, physician created and physician tested and not tested on animals. No animal cruelty here! Now with my family history of cancer, it's good to know that OUR Skin Cares is made without any parabens, contains no silicones, no dyes or any harmful preservatives. Yes they truly do care. And if that wasn't enough, here is my main reason for loving OUR Skin Cares. With every purchase you make of the OUR Skin Cares Advanced Anti-Aging Serum, 2 children will be provided with a month's worth of meals through their partnership with Food For The Poor. As a mother I am of the firm belief that no child should ever go hungry EVER. So this is one cause I am all for and would support wholeheartedly. It feels good to know that I am helping to provide nutrients for impoverished children while also taking care of my own skin. So if you're in the market for new skin care products, if you've been thinking that you now need to start taking better care of your skin, or if you want a regimen that is stress-free, I highly suggest giving OUR Skin Cares a try. 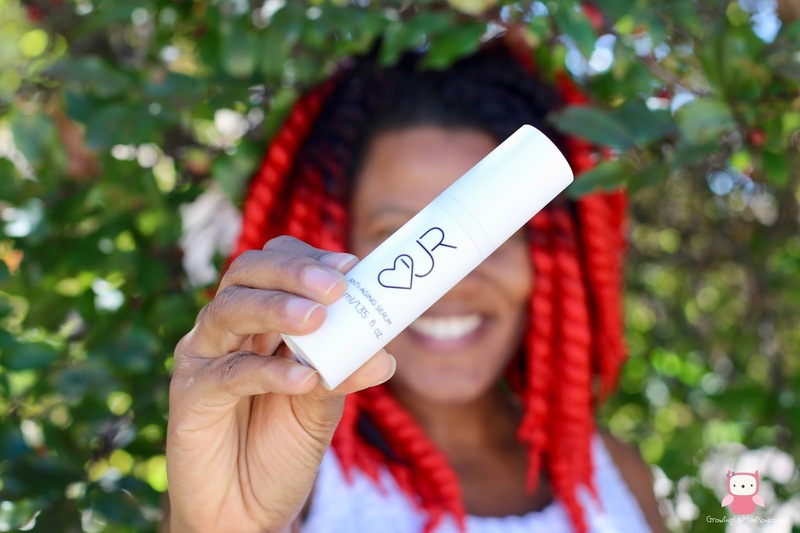 Not only would you be doing your skin a big favor but you'll also be doing good for hungry children as well. Give OUR Skin Cares Advanced Anti-Aging Serum a try today! 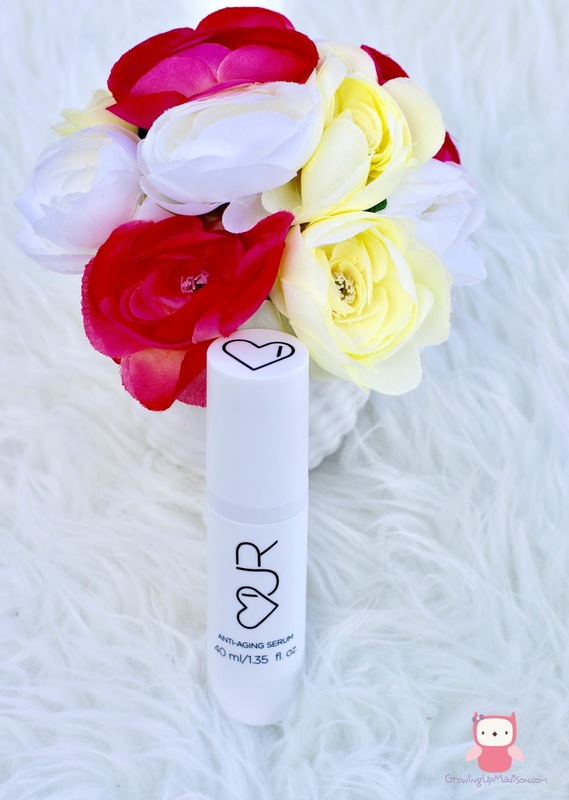 OUR Skin Cares would love you to experience what I have with their Anti-Aging Serum. So all my readers will receive a 20% off coupon using code: growingupmadison. I just know that you will love it as much as I do! Now THIS is what I am talking about! I don't have the time, space, or money to purcahse multiple bottles, jars, and vials. I am going to purchase a bottle of this stuff right now! That's what I said Rachel. Who has time for all those steps, it's why I love this. Wow! this looks very interesting. I use very select few tried and tested products and never heard of this one. Will give it a shot. I hope you love it as much as I do when you try it. This is simply awesome! A various skin treatment packed in a one product. I'm curious if it available as well in Europe. I'm not entirely sure if they'll ship to Europe but you can read their FAQ and find out. I love trying out new skincare products. This sounds like an awesome line. I can't wait to try this. I'm not big on trying out new skincare products because it usually means I'm trying at least one for the morning and another at night etc. This totally rocks because I have more than 1 product in one bottle. OUR Skin Cares sounds like a great product. I'm currently using a serum that is NOT doing what it said it would do, so I will definitely be looking into this. Thanks! You're very welcome Stacie, I've been using this one for a while and I'm beginning to see results so give this one a try. Wow that product really does have it all! I know for me the most important things are retinol, vitamin C, peptides and hyaluronic Acid. It replaces so much other products. You really can't go wrong. Now you're talking girl. I am not the type to sink 100 of dollars into multiple products. I want good easy skin care and one that works. I am so checking this ou., Thanks for the heads up on this product. You're very welcome Rebecca. I'm just like that too. I don't want to spend lots of money on products. I'd rather much spend money on just one that works. I'll have to check this out. Truth be told now that I am 40 (41 around the corner) I think it's high time I really start to pay attention to my skin. Thank goodness my mom gave me good gens but this would be something I'd try since its all in one that's for me! It's funny how we get older we start worrying more about our skin. Oh if I had started years ago. The packaging on this is so pretty. I also love that it has everything you need in one bottle! That's so convenient. It truly is convenient, I just love this myself. I love the look of this product! I am always hesitant to change skincare products as I can have really temperamental skin but looks good! Well this is good for all skin types so you should be good. I can use this in my forehead. Botox in a bottle is better than the real thing... no needles! That's what I like to call it and it is better than the real thing. I haven't tried anything like this yet but looking into and this looks like a great place to start. And you've got to start somewhere don't you? As I am getting older, I need to amp up my skincare routine. This looks like the perfect product for me. I'm the same way myself. I can certainly see a difference in my skin with this. I've never heard of OUR Skin Cares before but I would love to try it! I love that it is just one product and not a multiple step process. That's what I really love about this. I love that I don't have to remember to do different things. It is about time for me to start adding anti-aging products into my skin care routine. I think I could especially benefit from that pore reduction toner. Oh we could all benefit from one or two things. Check it out! 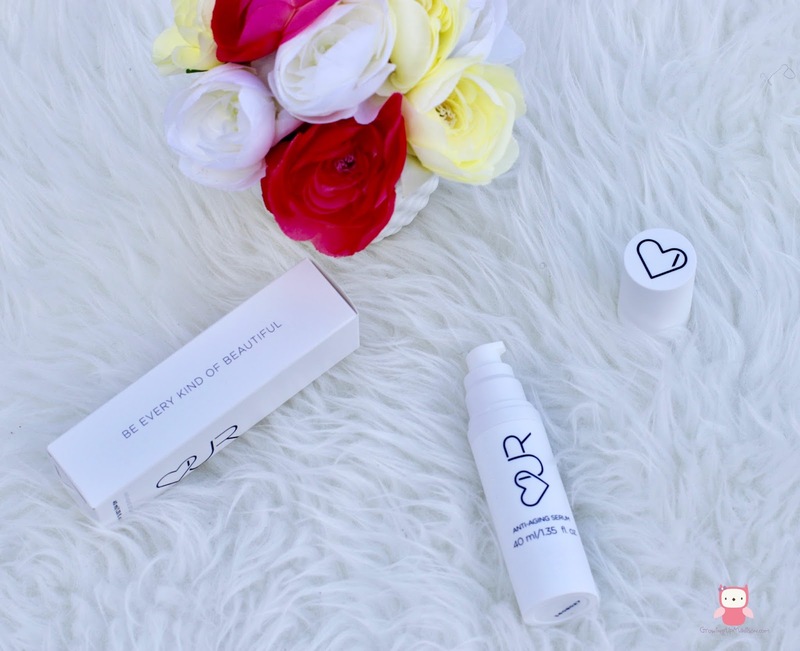 I love trying new Skincare products and also my mom, OUR Skin Cares is look good ( based on your review ) I'm pretty sure my mom would also like to try it. You can always gift your mom a bottle. I'm sure she'd appreciate that. I am at that age myself where I don't want to be caught doing a ton of products. Just one product is good enough for me. BTW I love that each bottle helps feed 2 hungry children for an entire month. That is enough for me to buy it. It's really what I love about OUR Skin Cares. Not much company gives back and this is great! I am always excited to learn about new skincare products. Never heard of this brand, but it appears like a really top quality one! It is awesome. Give it a try and don't forget that each bottle feeds 2 hungry children. Oh wow, I'd definitely like all of those effects. It's nice to have them all bundled into one serum. It is good, now you get to throw out all those other bottles you have. Saves on space. I'm all for companies that give back, especially to the hungry. I would love to try the whitening cream. I love companies like that too and since the whitening cream is included, you should be good. I am always on the hunt for a simple, one step skincare product and can never find one. I will definitely be looking into this. You are right, its never too late to start taking care of your skin. It really isn't too late to start but better earlier than later. This sounds like a great product to try! I don't have many skincare routines but if everything my skin needs are packed into one serum, well, I think that's worth a try! Oh it's definitely worth a try! I would LOVE to try this product!! It looks so great. It is never to early to start with anti aging products. You got that right! It's never too early to start. I need a new face serum and this sounds like a great one to try. I hadn't heard of this brand before. Love your photos too! Thank you Wendy and it's always great to share new products with my readers. Yes, I am inclined to fully agree. One thing I wish I'd have taken better care of in my youth was my skin! I think we all do. When we're younger we don't worry much about stuff like that, but I've started now. I absolutely love the cause that they're giving to. No child (or adult) should ever have to experience going without a meal or have to wonder where their next meal is coming from. I am with you completely on that. No child should EVER have to go hungry EVER. Botox in a bottle would be better than needles any day. I need to try this. My fine lines are becoming deep wrinkles. Give it a try, it is totally worth it! My mom will surely love to try this. She was talking about this product the other day and I know she want to receive one! You should totally get it for her. Surprise her. I absolutely love that their is so much in such a little bottle! I have such a hard time investing in something when I know I need a ton of different things. This is perfect! Isn't it? I just love that as well. I remember when I was 27, a friend who was 36 told me I'd need a new regimen in my 30's. I scoffed at her then, but now I'm her age, and it's true. It's not the same, but that doesn't mean there aren't great ways to still achieve a glowing look! It is so not the same and you're right, there are great ways to achieve a glowing look and this is one of them. It sounds like a great brand. I love my current regimen, but I am always wondering if something could do better. The hyrulonic acid is supposed to be awesome. It is and there is always something you could be doing differently. Give OUR Skin Cares a try. I need to start some sort of skin care routine! I was blessed with good skin when I was younger, so I never got into the habit...I will have to look into this line! You should, I think you'll like it. I am loving these products! I have looked high and low for a product that can "do it all" because who has time for that many separate products. Awesome. I don't I don't have the time so having it all in one is great. You should give them a try and don't forget our coupon. I'm a beauty products junkie and this one is a total newbie to me!!! I'm going to have to give this line a try! You should totally give it a try and I've been using it and actually seeing results. This sounds well worth trying! 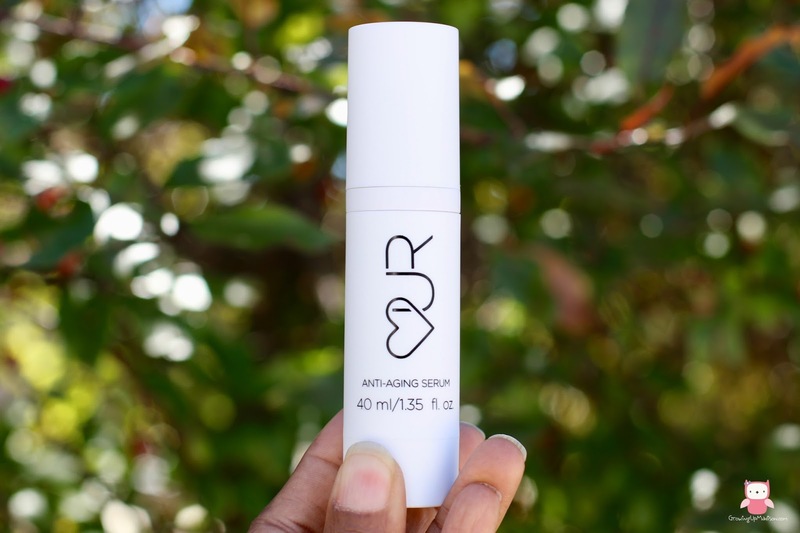 I'm always on the lookout for excellent anti-aging products, and it sounds like this is a good one. I never would have thought to use these products when I was younger but now I'm older I really need it. You should check it out. I should have started using this long ago. I fear I am behind now haha My skin needs help! It's never too late to start and this is a great way to start. I have a feeling it wouldn't help me much at this point haha! I would love to try it out! Well you wouldn't know that until you give it a try won't you? I have been trying so hard lately to make sure I make skincare a priority and incorporate it into my daily routine. Having one product that covers everything seems amazing and a great way to simplify the routine. It is. I'm one of those who hate having tons of products because I can never remember which one I need to use when and how, so this simplifies it for me. That is very cool that they work with Food for the poor. I love when buying one product does something good for others. I am exactly like you in that I hate using more than one product, I just don't have the time! That makes this a product I am going to check out 100%. Thanks for the recommendation. That is truly one thing that I love about them. The fact that they give back. Wow, this product sounds amazing! Love that it's cruelty free and works with Food For the Poor - I love it when brands give back to the community in some way. I'm with you on that. I love that myself too which is why they get my support. I remember my youth too and I wish I had a better skin care regimen then too. I'm really trying to take better care of my skin now. It's funny how we wait until the last minute to start taking care of our skin, but better late than never. This looks like some Magical potion for your skin! I'll check it out and even tell my mom about it. You can even surprise her with a bottle, after all, Christmas is coming. i LOVE that they give back too. That always impresses me when a company does that! Going to check out this brand. Oh that's what I love most about them too and I love companies who do give back! You're very welcome Bianca and don't you just love that it does so much without you having to spend so much money buying other products? Oh I love it too, I love not having to use too many products and it works amazingly well. I have a hard time coming up with a solid skincare regime that I actually follow. I would like to try this one since it would replace a few products in my cosmetics drawer! I could use just one. Using just one is the best thing ever. You should totally give it a try.